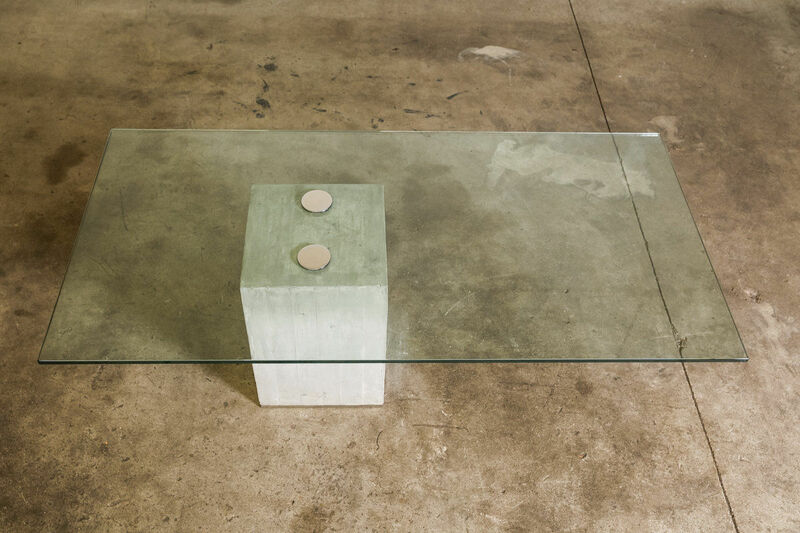 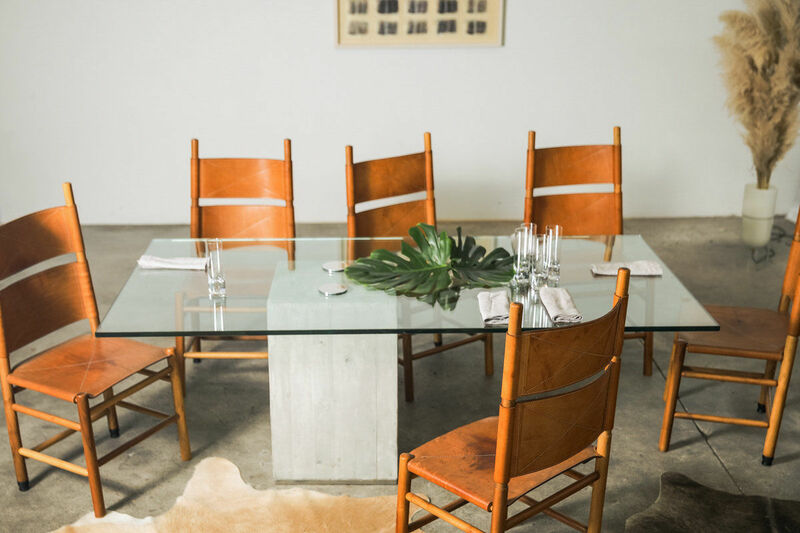 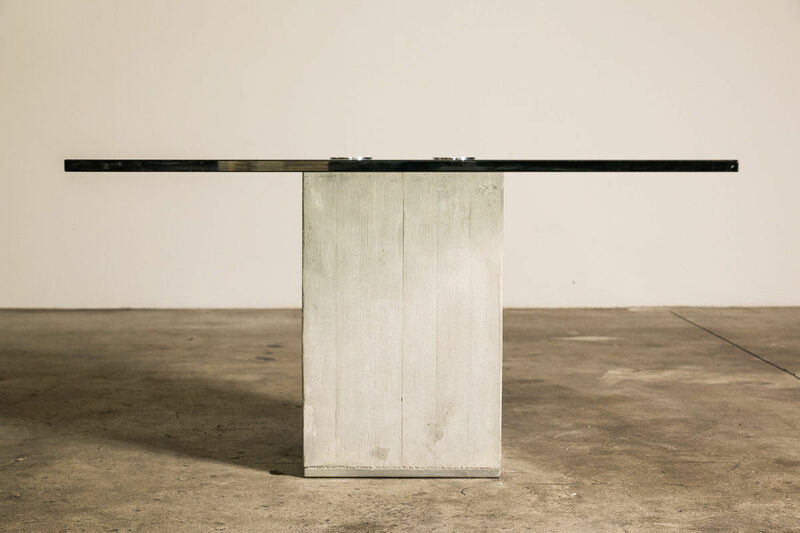 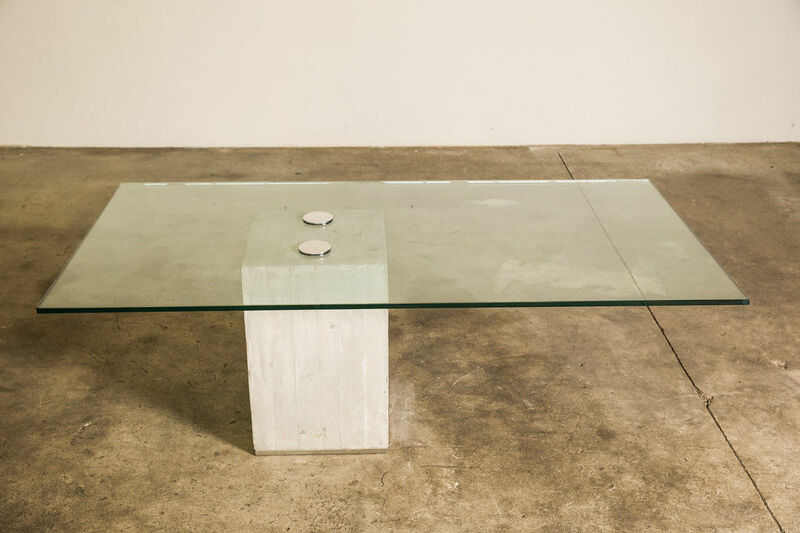 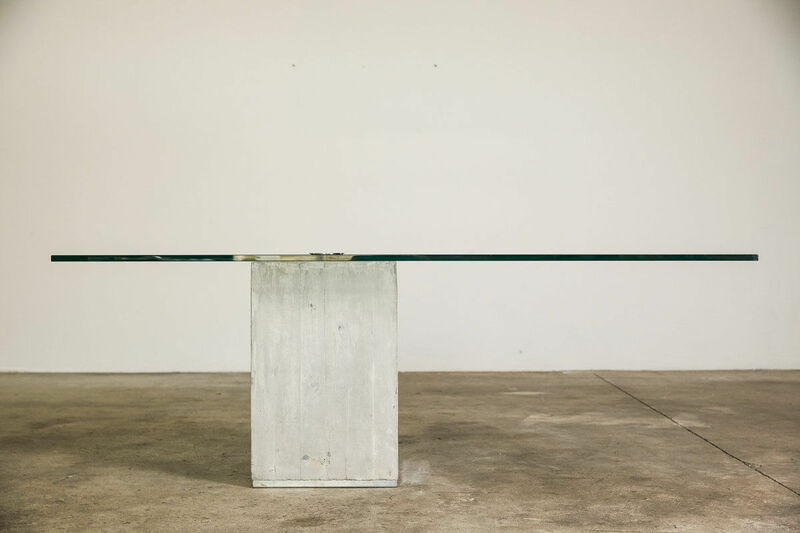 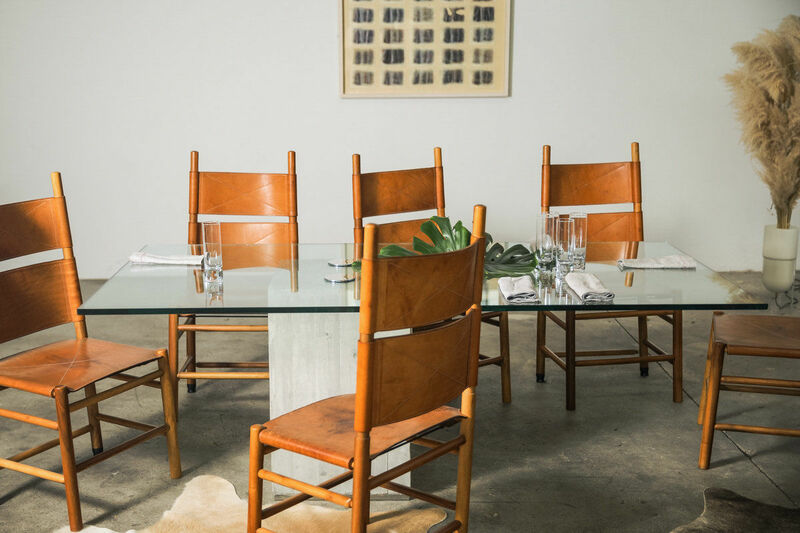 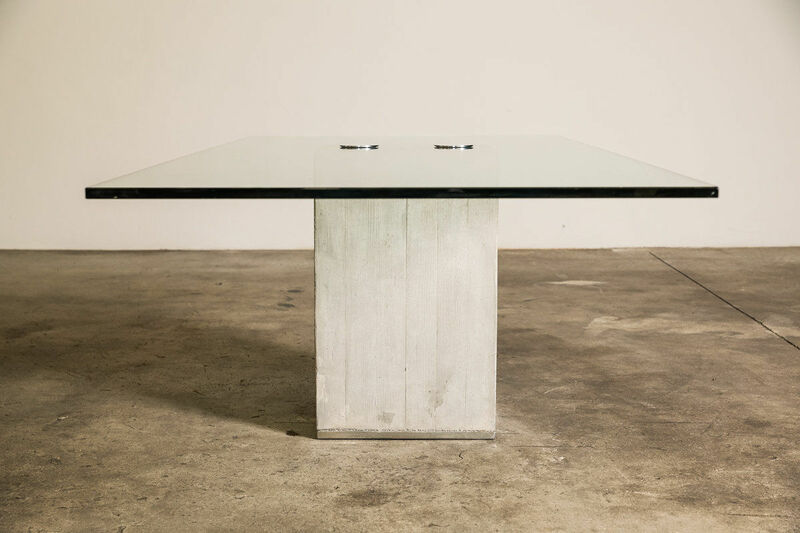 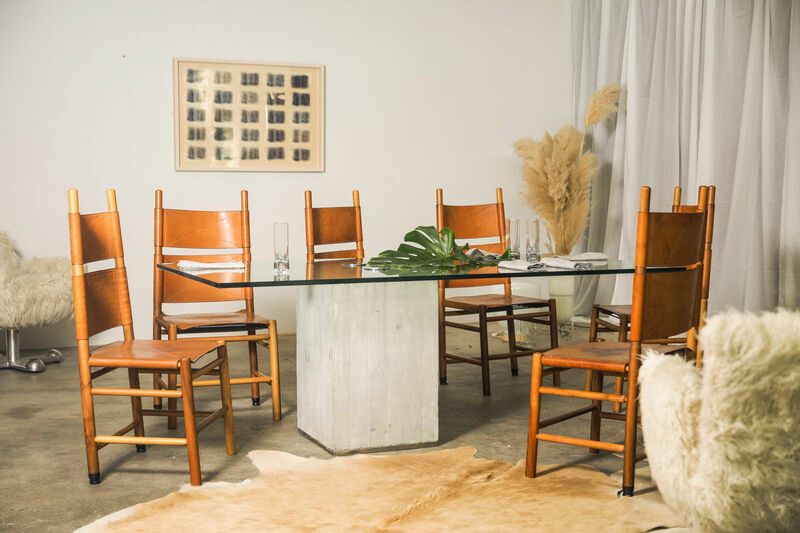 Sergio and Giorgio Saporiti concrete dining table Italy 1970 | Castorina & Co. 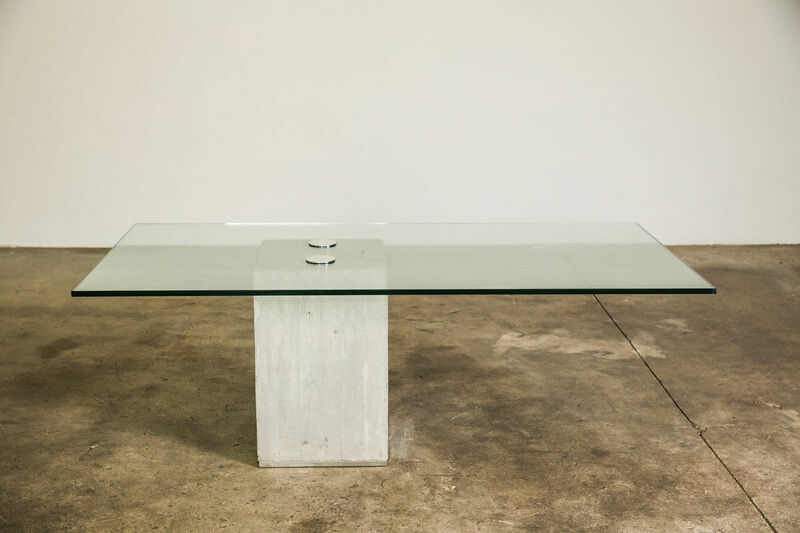 Magnificent dining table model "Sapo" designed by Sergio & Giorgio Saporiti for Saporiti 1972. 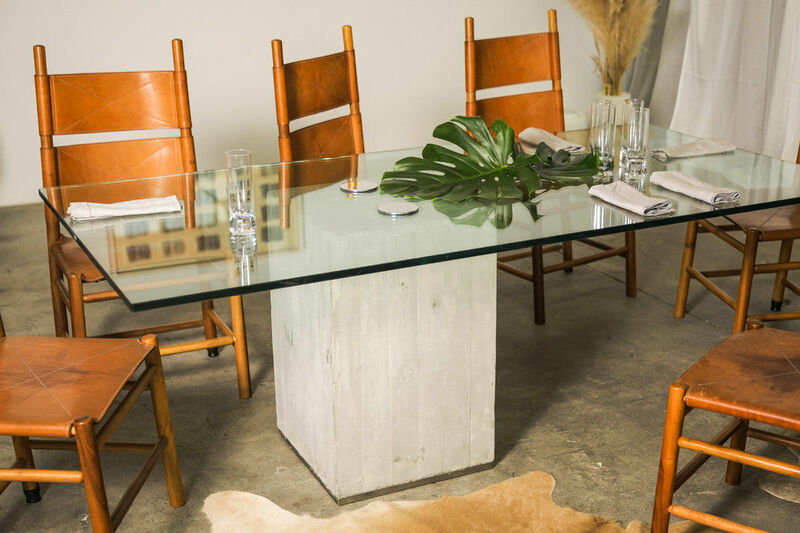 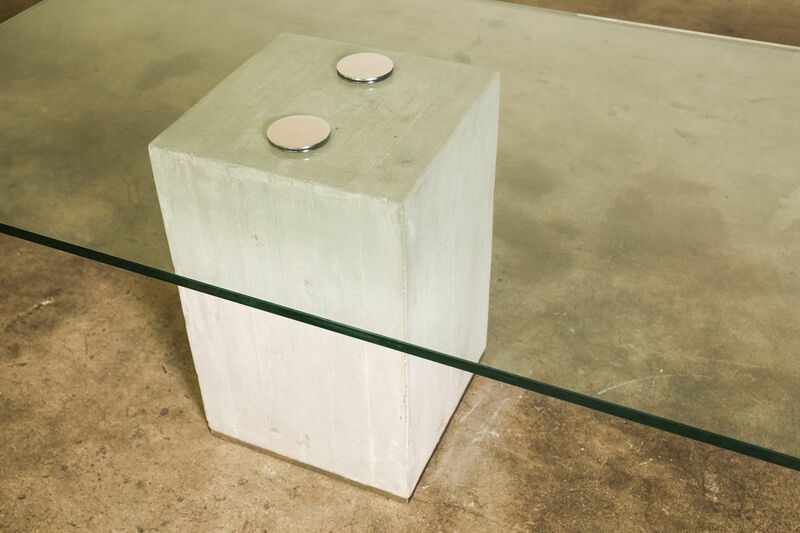 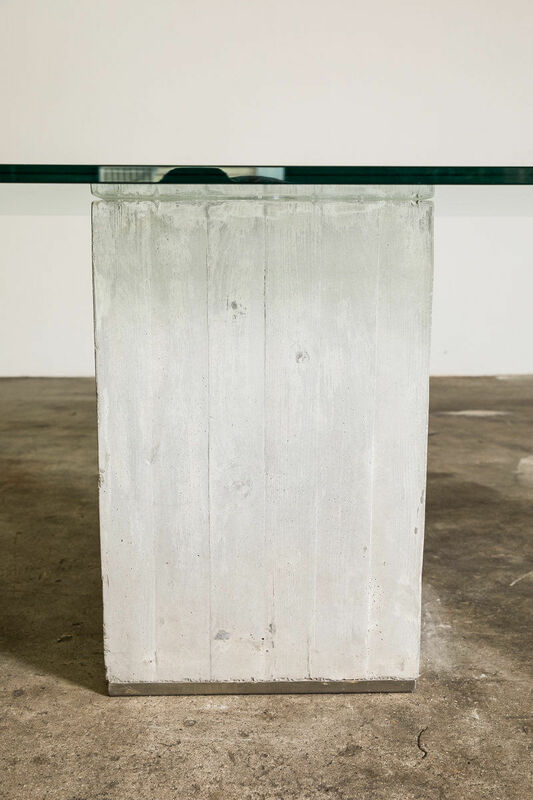 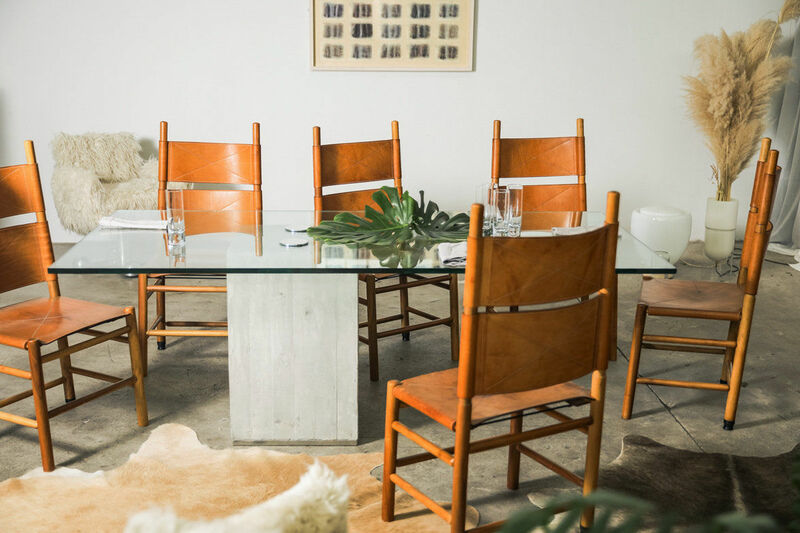 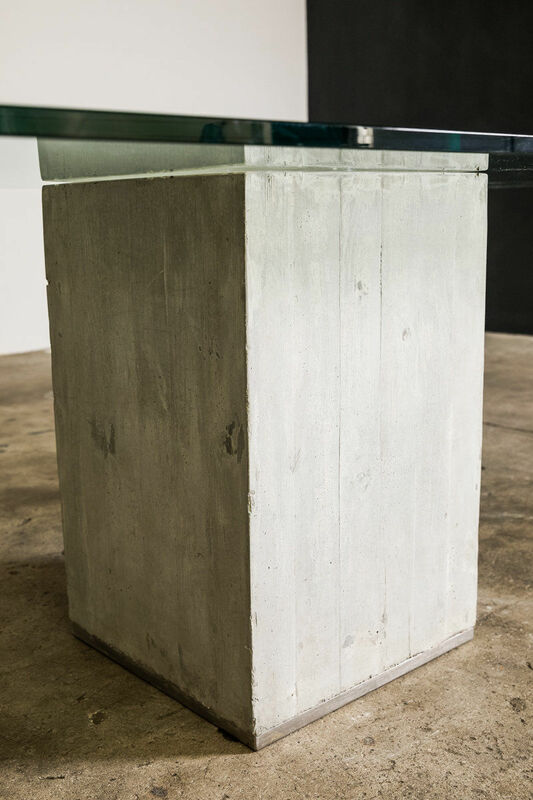 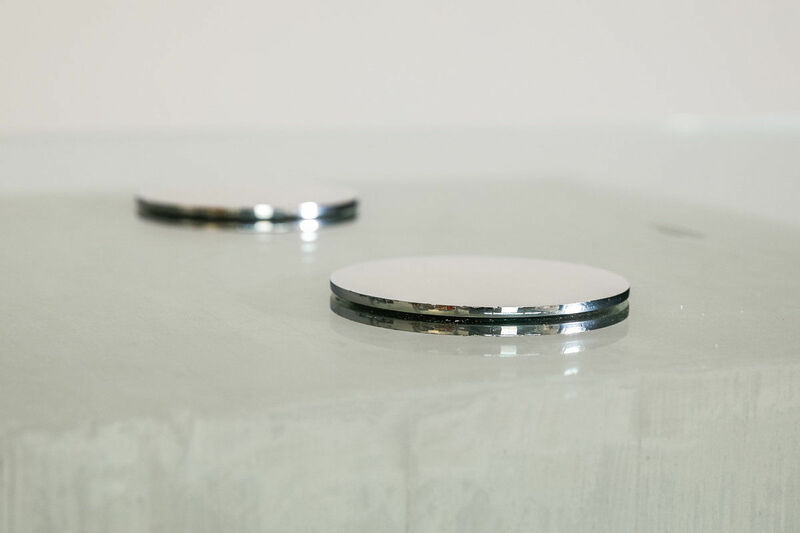 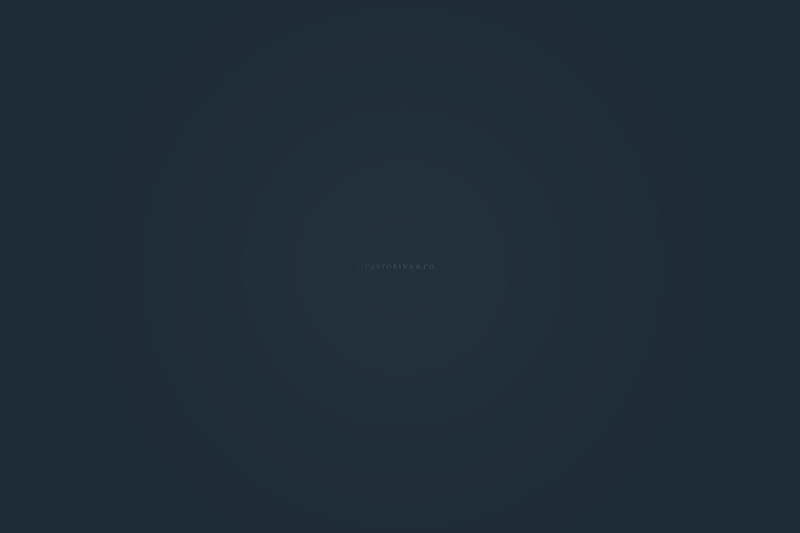 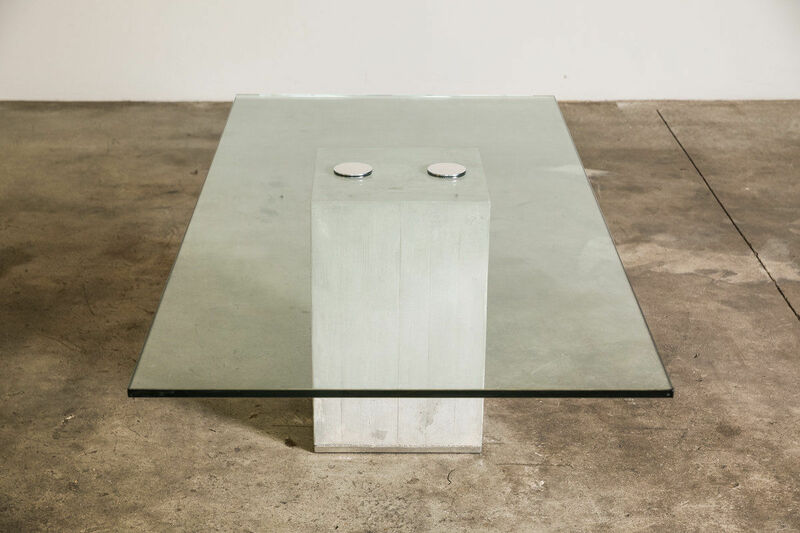 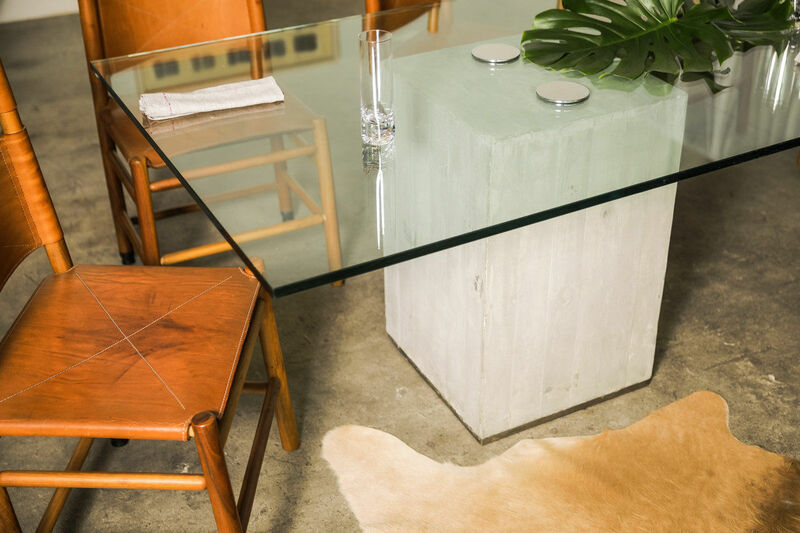 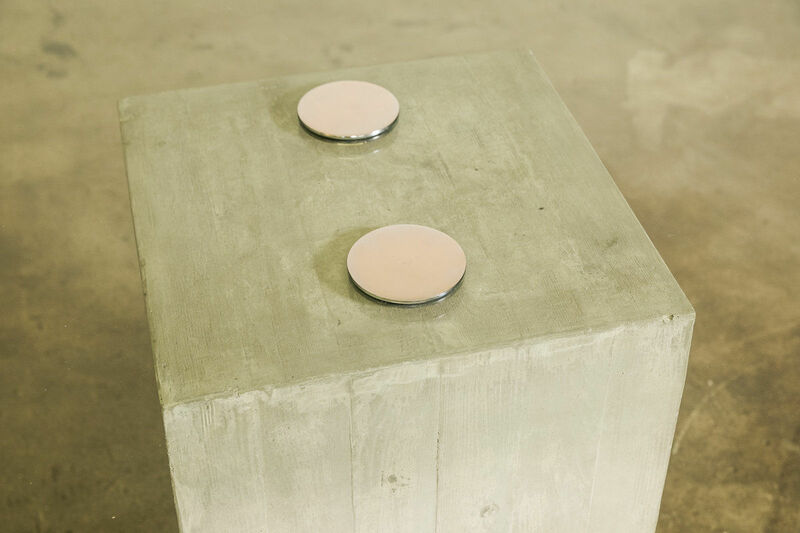 The base is in raw concrete and the large 2cm thick glass top is secured to the base by two large chrome round head screws.